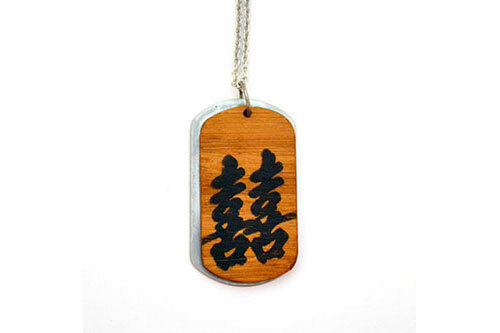 This design features the calligraphy for double happiness. This bamboo and stainless steel pendant is inspired by the beauty of the bamboo plant and Chinese brush painting; it hangs on a 24″ stainless steel ball chain. Bamboo symbolizes longevity (Chinese).